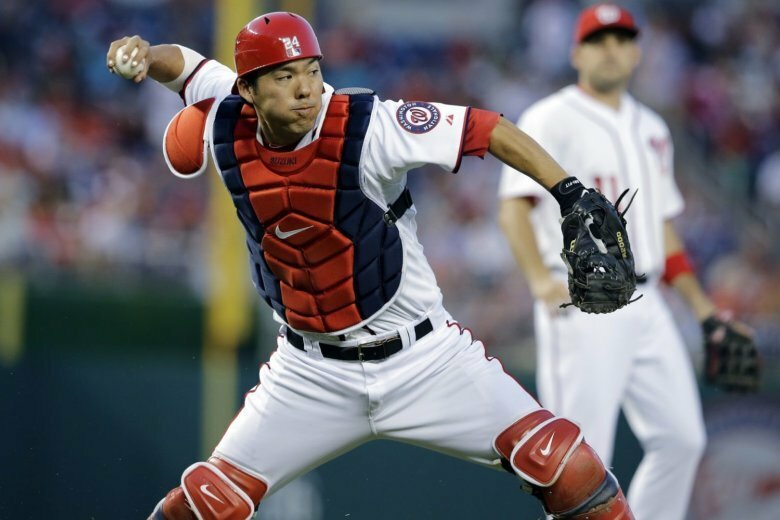 WASHINGTON — The Washington Nationals are bringing a familiar face back behind the plate. The Nats have inked Kurt Suzuki to a two-year deal, according to multiple reports on Monday. The deal is pending a physical exam. Suzuki, 35, previously spent parts of the 2012-13 seasons with Washington. He was traded from the Oakland Athletics in August 2012, and returned to the Athletics the following year. The 12-year veteran spent the last two seasons in Atlanta, where he slashed .276/.341/.485 with 31 home runs across 186 games played for the Braves. Suzuki has hit .307 with six home runs in 25 games against the Nationals in his career. A Hawaii native, Suzuki was originally a second-round pick out of Cal State Fullerton back in 2004.